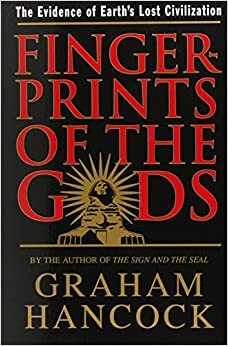 "Fingerprints of the Gods: The Evidence of Earth's Lost Civilization is a book first published in 1995 by Graham Hancock, in which he echoes 19th century writer Ignatius Donnelly, author of Atlantis: The Antediluvian World (1882), in contending that some previously enigmatic ancient but highly advanced civilization had existed in prehistory, one which served as the common progenitor civilization to all subsequent known ancient historical ones. The author proposes that sometime around the end of the last Ice Age this civilization ended in cataclysm, but passed on to its inheritors profound knowledge of such things as astronomy, architecture, and mathematics. His theory is based on the idea that mainstream interpretations of archaeological evidence are flawed or incomplete."